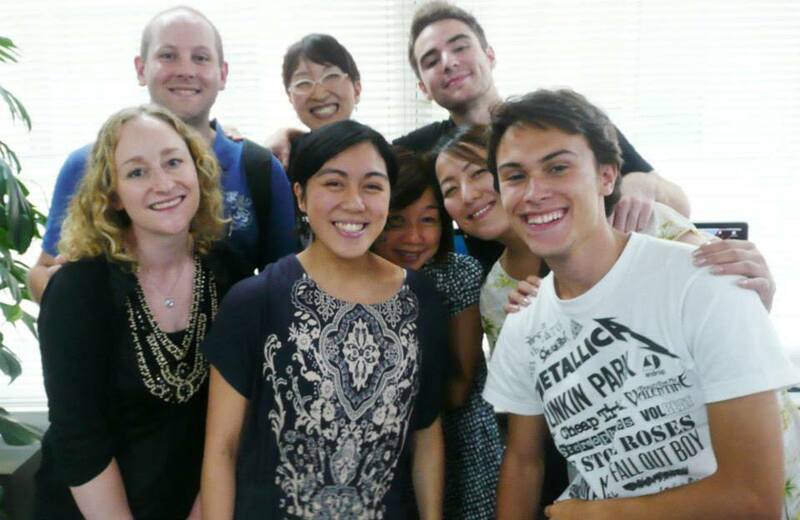 Friends and teachers from KAI Language School. 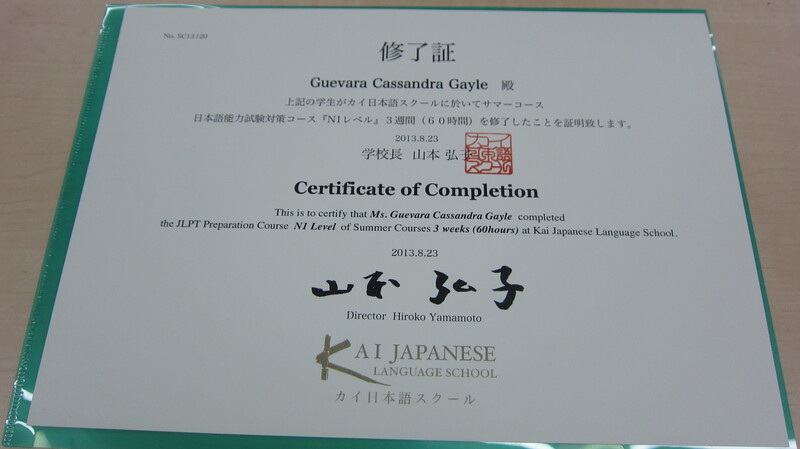 As I might have mentioned in my bio or in other posts, I started studying Japanese quite a long time ago. Between sixth and seventh grade I had the dilemma of choosing which foreign language to study (French, Spanish, Italian, or Japanese). I am an indecisive person in general, but I suppose at the time I knew that my foreign language selection might have a huge impact on my life. I enjoyed being exposed to all four of the languages in a “quarter” each of the school year, but was leaning toward Spanish for practical reasons. Yet, since I was 6 years old I’d been attracted to Japanese, the language of which seemed least practical out of the four. I turned in my selection sheet saying “Spanish” only to run back into my guidance counselor’s office to change my decision. Needless to say, that decision was one of the biggest ones in my life. However, although I started at an early age I felt I was never able to improve as much as I’d hope to. 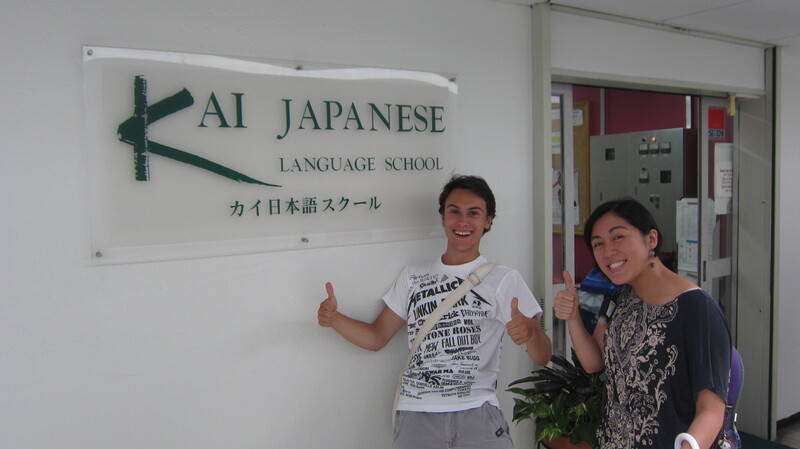 One reason may be was that no matter when I was studying, middle school, high school, or even in college, my exposure to Japanese would be halted as soon as I exited the classroom. There were no Japanese families whom I knew of in my mostly-white (~82%) suburban hometown in New York. Even at Oberlin College I felt like I knew most of the international Japanese students who made up a small percentage of the already fairly small student body population. Reading was by far my greatest weakness. Because I was never exposed to Japanese outside classes, just glancing for a few seconds at the Japan Times or the inside of a novel would get me frantically closing the browser or shutting the book. I was intimidated by all the unfamiliar kanji characters and discouraged by increasingly formal or complicated grammar. I just couldn’t get myself to read. One of the great parts about being an Oberlin Shansi Fellow is that all Fellows are granted the opportunity to take summer language courses in the language of their site (Japanese, Mandarin, Hindi, or Indonesian). Some Fellows studied in intensive programs in the States, while others like me studied in their host countries. Our levels vary tremendously, but I especially admire my friends who are studying an entirely new language right before jumping in to teach for two years! 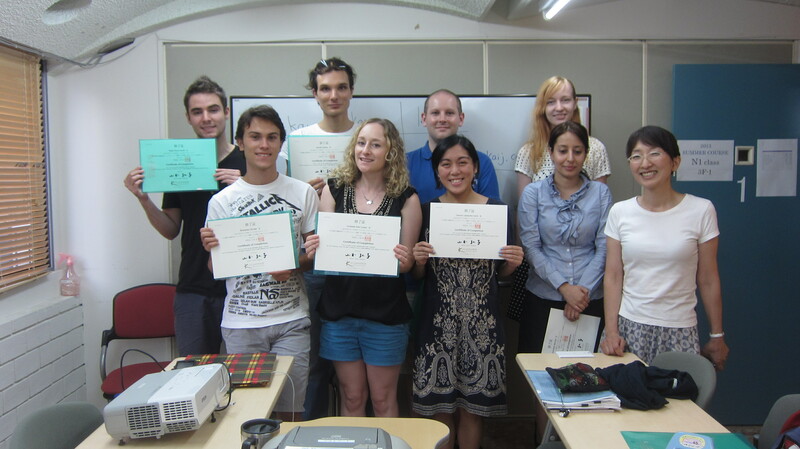 BUT it was also a blessing in disguise because after more searching I found the Kai Japanese Language School and their three-week JLPT Preparation Course. Me and my friend from Belgium. He loves writing in Japanese and his kanji/vocab skills are amazing! 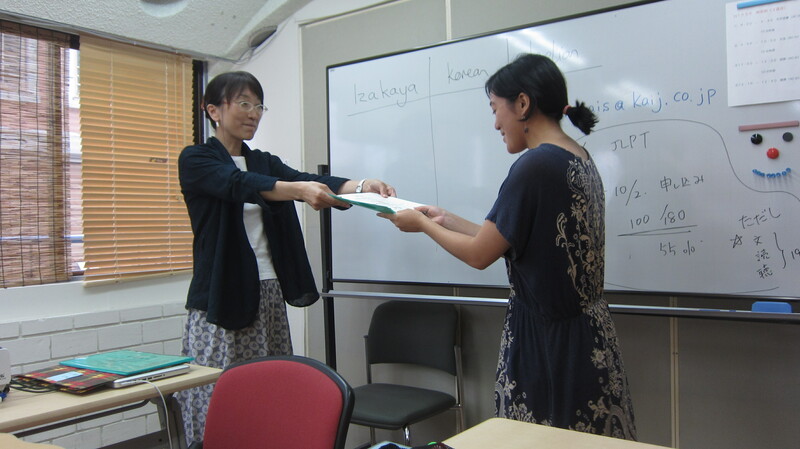 Over time, test applicants have become more diverse, and use of JLPT results has expanded from skill measurement to include employment screening and evaluation for promotions and pay raises as well as use as a form of qualification. N1 is the most difficult level. Although I passed N2 (by a super small margin) in 2011, I wasn’t feeling very confident when I enrolled for the N1 course. I was completely terrified on the first day. However, the energetic and enthusiastic teachers plus the fun students made me feel I was in the right place. There were only 8 students in my class: 2 from the USA (including me), 1 from England, 1 from Italy, 1 from Latvia, 1 from Iran, 1 from Belgium, and 1 from Australia (in that seat order). Everyone was super motivated, and that was inspiring. 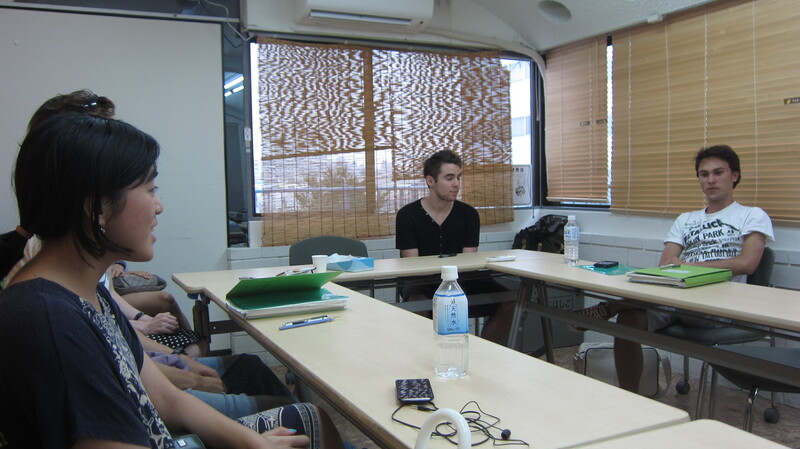 Our class was small and intimate. Like the actual exam, class was broken up into segments: 文字語彙moji goi, 文法bunpou,　読解 dokkai, and 聴解choukai (Vocabulary and kanji, grammar, reading comprehension, listening comprehension). Every segment was tremendous help for me, but the best part that I was forced to READ.